What is Newari cuisine you ask? It’s an amalgamation of the delicacies consumed by the indigenous people of the Kathmandu valley, the Newars. Newari food is for people who can handle their spice. A typical Newari thali would include a handful of baji (beaten rice); a variety of curries such as aalu tama (potato and bamboo shoot curry), hariyo saag (green spinach), and gedagudi (a mix of different types of lentils); some varieties of aachar (pickles); buffalo meat curry; choila (spiced buffalo meat); and finally local alcohol aila (homemade liquor) or thon (homemade rice wine). Finishing off the feast would be juju dhau (king curd), a delicacy of the kings. If you can get an invite to a laptey bhwe (traditional function) of a Newari friend, you’ll get the authentic experience, including the traditional seating arrangements, the cultural ethics, and the ambience. So grab yourself a bottle of water, go explore the alleywaysofKathmanduand find yourself a plate of Newari food in a local eatery. Kathmandu valley is often called a city of temples and rightly so, for you will stumble upon a small shrine dedicated to a Hindu or Buddhist deity every 5-10 minutes. 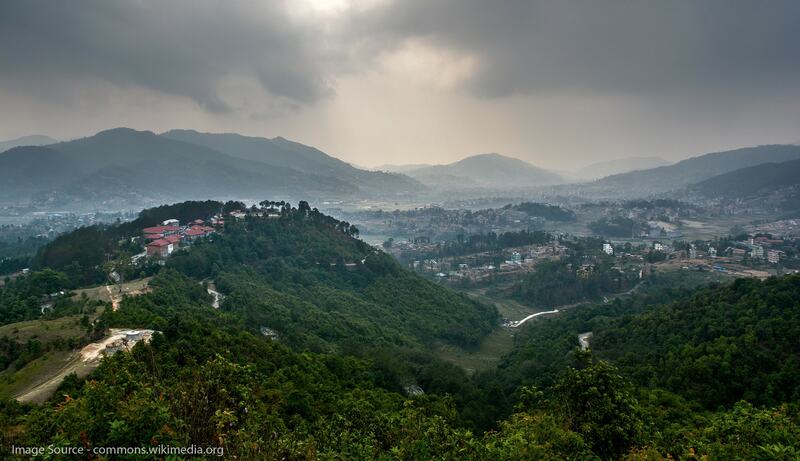 It is famously quoted that Kathmandu is a place where there are more temples than houses and more idols than residents. It might not be true to the present context but you get the picture. It would definitely be an adventure to get lost in the alleyways of Patan or Bhaktapur or Kathmandu and travel back in time to centuries gone by and make small talk with the locals, reminisce, and recover your faith in humanity and kindness. If you are worried about finding your way back to your hotel or guesthouse, simply ask one of the young locals on how to get to the Durbar Square (palace square) or the main street and you’ll be pointed in the right direction. History doesn’t paint a pretty picture when two different religions clash; there is always tension among the two different groups, a constant war over sacred space, religious activities, and ideals. Not for Kathmandu apparently! The two great religions of Asia, Hinduism and Buddhism, intermingle and intertwine in the heart of Kathmandu valley, along the streets, courtyards, and alleyways so much so that it would be confusing for people to define where one religion stops and the other begins. You’ll be sure to find amazing monuments dedicated to both religions in the valley, many even listed in the UNESCO world heritage sites list. Another thing very unique to Kathmandu is the living goddess. Said to be a living embodiment of the goddess Taleju, Kumaris are worshipped as the aspect of Shakti and power. The tantric goddess Taleju is said to reside in the body of a pure young pre-pubescent virgin girl, and the selection procedure for the Kumaris of the three cities of Patan, Bhaktapur and Kathmandu is equally intriguing as it is terrifying. The Kumari has to be from the Shakya caste, with a clear health background, no evidence of any serious illness, skin without any blemishes, no bad body odor, no loss of any teeth, pure black hair and eyes, dainty hands and feet, small and well-recessed sexual organs, and a set of perfect twenty teeth. The Kumaris also need to live up to the standards of thirty perfections. Their horoscopes need to match with the king’s horoscope. The girls then have to show their calm and fearlessness in the face of horrors that would make little kids wail. These living goddesses are worshiped by all from the richest man to the poorest of the poor. Get a glimpse of her in her abode and consider yourself lucky and blessed.